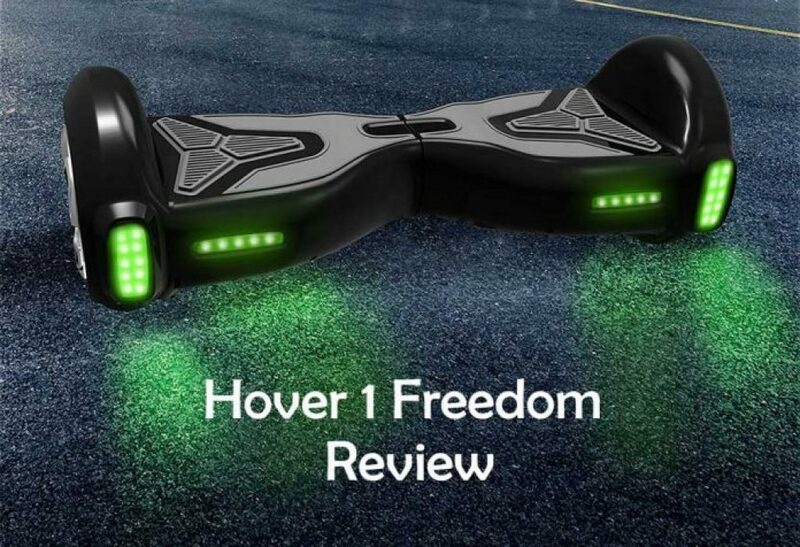 Why Hover 1 Freedom Hoverboard? The self balancing electric scooters have become the sensation in today’s generation. When it comes to buying a hoverboard, there are several points to consider. You may find difficulty in choosing the right electric scooter for yourself. However, we would like to lesser your burden by introducing to a brand new Hover-1 Freedom self balancing electric scooter which is really good for yourself and your family. This might turn out to the best Christmas present for your friend or even the best birthday day present for your child. We understand how important your loved ones are for you, and that is why we recommend only the safe products. These hoverboards are thoroughly tested under the Underwriters Laboratory and after passing through rigorous tests only have been accredited the safety certifications. You will be startled to know that out of most of the hoverboards in the market, the Hover -1 Freedom self balancing electric scooters are one of the cheapest hoverboards of all time. The price has slashed upto $148 dollars on leading online shopping platforms last year. During the offer season, the deal is much more exciting. Hover-1 Freedom self balancing scooters are brand new in the market and it hasn’t been too long that they have been in the market. They were out in the market in the month of November and since then they have seen a good sale due to the inexpensive deals. If you want to have an experience of the coaler coaster along the park side in the morning on weekends or use it as a personal transport means to travel to the nearby bakery then you can surely go for this one. Okay, if you are someone who has ridden on a number of exclusive hoverboards before and are the master in your own art, then probably you are not going to like this model much. The reasons being simple: they do not come with exciting mobile apps or basic features like LEDs. However, there are things that will persuade you to get this model. We all know that hoverboards have become very famous in the past few years because they are capable of being used as personal means of transportation with zero carbon emission. So, buying it might help you becoming more eco-friendly. Moreover, they will, in the long run, prove to be cost effective. And why not select this cheapest yet effective hoverboard? The reason why these self balancing scooters have become popular in the market in such a less time is its quality and the affordable price at which it comes. It has 250 watts amazing dual motors. It comes with a great weight limit of 220 pounds which is just as same as what is offered by standard hoverboards. The battery voltage is 29.4 volts which is good for driving the electric scooter smoothly. The maximum speed that it can cover is 6.2 miles per hour. So you can ride about in splendid speed on the pinnacle of your power. Another good thing about the Hover 1 Freedom self balancing electric scooter is that it can easily climb inclination upto 17 degrees. Another reason why anyone could prefer the Hover 1 Freedom hoverboards is the light weight quality. These boards are portable as they are light enough to fit into your carry bags. They can be transported from one location to another without any problems. This is another good feature of these hoverboards. Unlike some of the older hoverboards, they do not take like 6-8 hours to charge completely. In just about 2-3 hours the work is done. The Hover 1 Freedom self balancing electric scooters are certified to be water resistant under IPX4 water resistant rating. These hoverboards with high quality style and build up are just more than what they appear to be. However, there are two sides to every coin and so these hoverboards too have certain limitations. We have already talked about the fact that these hoverboards do not have app or Bluetooth features and also do not come with the LEDs. In addition to it, these hoverboards also have a maximum range of just 5 miles. But that doesn’t outweigh the good points that it possesses. There are no doubts that there are so many hoverboards out in the market that it has become difficult to choose from. Moreover LEDs and Bluetooth requirements are like important features to be considered. This hoverboard is kind of good for beginners who do not have much to do with listening to music or showing off great stylish boards. Hoverboard Buying Guide - Must Read Before you Buy!